Our A4 boards are printed on 170gsm fine coated paper in satin finish and mounted on 1mm thick greyboard. On orders up to 10 boards the turnaround time is usually 2-3 working days, however there is an EXPRESS option available in many cases. Please contact us to check availability before placing an order. A4 size is 210x297mm. We require 2mm of bleed added to each side of the design. The final file size (including bleed) should be 214x301mm. Please supply your files in CMYK colour space and Resolution between 150 and 250dpi. We will do our best to print your boards on-time. Every time! Our A3 boards are printed on 170gsm fine coated paper in satin finish and mounted on 1mm thick greyboard. A3 size is 297x420mm. We require 2mm of bleed added to each side of the design. The final file size (including bleed) should be 301x424mm. We will do our best to print your posters on-time. Every time! 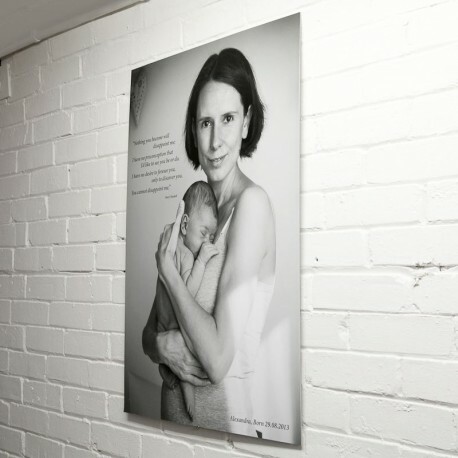 Our A2 boards are printed on 170gsm fine coated paper in satin finish and mounted on 1mm thick greyboard. A2 size is 420x594mm. We require 2mm of bleed added to each side of the design. The final file size (including bleed) should be 424x598mm. Please supply your files in CMYK colour space and Resolution between 200 and 300dpi. We will do our best to prepare your boards on-time. Every time! Our A1 boards are printed on 170gsm fine coated paper in satin finish and mounted on 1mm thick greyboard. A1 size is 594x841mm. We require 2mm of bleed added to each side of the design. The final file size (including bleed) should be 598x845mm.